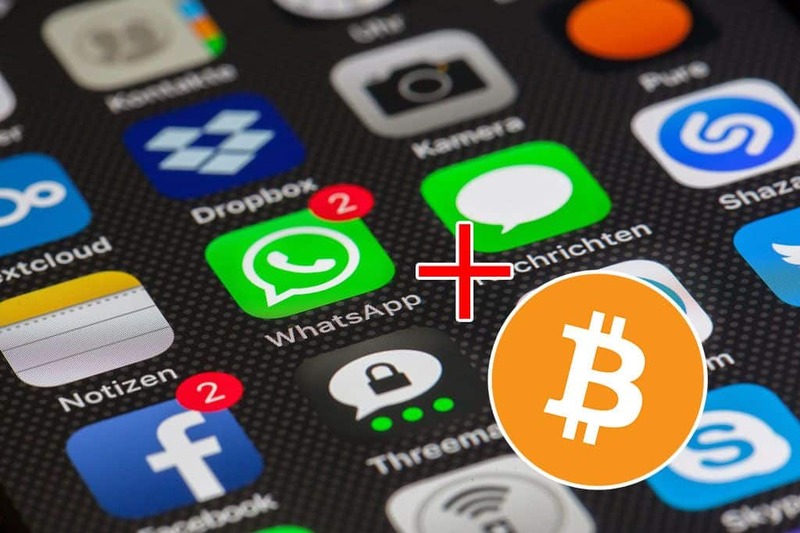 The Daily Express newspaper has reported that soon you will be able to pay people with Bitcoin through WhatsApp, Telegram and SMS. Is this the breakthrough needed to propel Bitcoin forward to mass adoption? This has been made possible by using Wuabit. Wuabit is a cryptocurrency wallet that can work in the chat interface in WhatsApp. It has been described by its developers as a ‘software agent’ powered by specialised AI. Simplicity is key for the developers and as such they want to make the user experience simple and easy to use. They explain that if you want to send Bitcoin to a friend all you will have to do is type in commands such as “send 0.05 BTC to Vera.” That’s it, the wallet will then recognise the command and send the BTC straight away. The race is on to combine cryptocurrencies with social media platforms and Wuabit are aiming to be one of the first. They are not the only company thinking this way. Facebook have stated that they intend to launch their own cryptocurrency and Samsung have released their own crypto wallet. Clearly, the easier it is for the average consumer to use and access cryptocurrencies the sooner it will lead to mass adoption.